,QKHULWDQFH7D[<RXU&KRLFH Who inherits the bulk of your estate - your family or the Chancellor? While most people are aware of the existence of Inheritance Tax (IHT), it is a subject which gives rise to some distaste or lack of interest and many people, not surprisingly, would rather delay consideration of this subject. So few people do anything about their potential IHT liability that HM Revenue & Customs (HMRC) collected £2.9 billion for 2011/2012 alone (source HMRC March 2012). But is it only a problem for the rich? It all depends on how one deﬁnes ‘rich’. There are many of us who will have to pay IHT, yet do not feel particularly wealthy. One of the reasons for this wealth is the value of our homes, which for most people represents the largest single asset we own. Tim Gallego is a Partner of the St. James's Place Partnership, which is the advisory channel of the prestigious St. James's Place Wealth Management. 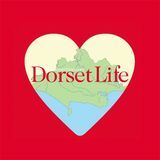 Tim is based locally and invites readers of Dorset Life to discuss their concerns within the current climate and discuss opportunities that are available. Top Speciality meats like saucisson are to be found at Poundbury Famrers' Market. Above More traditional meats, in the form of sausages, are also on displayâ&#x20AC;Ś and for tasting Left One half of the 'Baking Birds' seeks a little support during one of the windier moments of the farmers' market Below Everyone has a quick look around at what is on offer at the other stalls before Poundbury Famrers' Market is fully open. The Perfect Balance Altogether Care is a family business established for 25 years and brings family values to life. Creating the ideal environment and support for individuals we deliver just the right balance between independent living and professional care. Care Match available throughout Dorset and South Somerset. Care Homes located in Dorchester, Maiden Newton, Weymouth and Yeovil. The second object visible on the wall, at the other end of the building is a rather less controversial one: a milestone (below). Dorchester, as county town, is not only centre of government of the county (as evidenced by the distance to Hyde Park Corner in the national capital), but also a place which is central to the county (pre-1974) in geographical terms. Curiosities of Dorchester German memorial Many towns have a memorial to those from the town who died in World War 1, but few have a plaque in memory of those prisoners from Germany who equally lost their lives far from home. This rather beautiful memorial is tucked away on the side of the cemetery at St George's church, Fordington. Not gazing over the dead of the town – it is shielded from those visiting the locals' gravestones, but rather wistfully facing north-east towards Germany. Roofless building/Walled garden When is a roofless building not a roofless building? When it is a walled garden. Walking down Grey School Passage opposite Trinity Street, one becomes aware of what looks like a ruined building… in fact that's precisely what it is, but whilst a building may have been what it was, it has, thanks to its roofless nature, taken on a new role, as a walled garden. Antelope Walk Home to an eclectic mix of independent stores, this historic passageway is one of Dorchester's hidden gems. Patrons and traders explains why they love it. Becki Gaches: florist It's a really nice walk, and all enjoy working here. It's a friendly atmosphere; everyone knows everyone and says hello to one another. There's a selection of food shops, and it's really light and airy. From a commercial perspective it's always busy and the mix of shops means there's something for everyone. Kim White: patron I use the TIC at the top, get a pasty, go into Joshua's for gifts, browse in the vintage store, go into Naturalife; my son goes to the barbers opposite the TIC, my kids get their shoes from County Shoes. All in all it's quite a collection of shops in just 25 yards. They're all quite nicely done and cosy and you feel like you get really personal service when you shop here. Paetra and Amy Withnall (and Bessie): patrons I think Antelope Walk is like the Lanes in Brighton: lots of beautiful stores and great places to eat. We love the Loft as they let you bring your dogs in and they do funky food that anyone can eat… and they serve Illy coffee. The clothes shops are great and there's a wonderful cook shop and a great healthfood shop. Shirley Ryan: Lingerie store owner We've been here for ten years and it's a really nice atmosphere between all the traders; I'll pop into Elaine next door to borrow tissue paper and vice versa, and the whole walk gets together for a charity day to raise funds for charity. As an individual, I make a point of using all the other independent stores and from a positioning point of view we're perfectly placed between Figure 8 and Owen & Simpson; we've got really nice customers: women from January to November… and then their husbands in December! wi-fi. Traditionalists may be heartened, though, by Nikki Blair’s belief that the proportion of people using libraries for books is actually growing. The new Dorchester Library and Learning Centre has got off to a terrific start, helped in no small measure by its initiative called Summer Reading Challenge, under which a child who read six books over the summer holidays received a medal and certificate. Whereas the old building had perhaps 250-300 visitors a day, 1000 people have passed through the doors of the new library on some days. This number will no doubt fall away as the novelty wears off, but its more attractive appearance and very central position are sure to mean that it is a lot more popular than its predecessor. 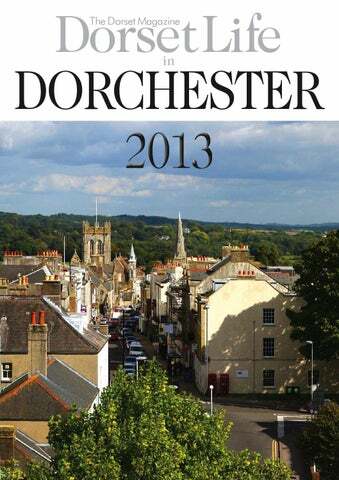 Above all, it will provide Dorchester with a library service appropriate to the town’s size. Feeling hungry? Join us on a virtual whistle-stop restaurant and café crawl to see what the public thinks is the best that’s on offer in the way of food in Dorchester. at (4) flies the flag for the traditional English tearoom; two Thai restaurants – The King and Thai (5) and Thai Nakorn (8) are well inside the top ten; a crêperie – Mr Crêpe’s Cuisine(6) is perhaps a surprise appearance, while, perhaps more predictably, there are two pubs – Charminster’s Gamekeeper Dining and Ale House (7) and the Blue Raddle (14); there are two Indian restuarants – Rajpoot (10) and Masala (15) and finally (in reaturanttype terms) a family-run Italian restaurant with Breakfast of champions? Dorchester dining legend Franco’s La Caverna (13). A nice illustration of the What is interesting when reading the reviews is traditional and modern the range of reasons why people had a favourite. cuisine available in One venue got top marks (from different visitors) Dorchester for providing a pre-marathon specific breakfast, and for having gluten-free knowledgeable staff, another got high praise for its soup. Once for its simple food served in a calm atmosphere, another for its simple food served in vibrant atmosphere. Perhaps the old Latin motto is an appropriate place to conclude. De gustibus non disputandum est is literally translated as ‘good taste cannot be disputed’; figuratively it is taken to mean ‘taste is a matter of taste… and so argument is pointless’… that doesn’t mean that within Dorchester, for every restaurant type and indeed venue, there will not be fans and boo-boys. The good news is that there are plenty of places on which hopefully two people can compromise. View this item in your home along with an unlimited number of others with our unrivalled home approval service. Call for details. Rug Cleaning We offer a specialist professional deep cleaning service for all hand woven oriental and contemporary rugs and tapestries. The majority of odours and stains can be removed. Rug Restoration Our expert weavers are able to make invisible repairs to holes, burns and tears and restore frayed edges and fringes. Full restorations of damaged rugs can be carried out. Antique Valuations Our resident rug specialist has given talks for the British Museum and Rug Society as well as our own clients. We are able to provide written valuations for insurance purposes. Dorchester Plaza: National Theatre & Bolshoi Ballet Live Dorchester's historic (but air-conditioned) cinema, in addition to the usual run of contemporary films shown on its four screens, shows a selection of transmitted films, plays and ballets from the National Theatre and the Bolshoi Ballet. Over the next couple of months (from publication until midNovember) there are seven such shows (five of which still have tickets available to book) to watch at the Plaza. Bolshoi Ballet Live: Spartacus 20 October, 4.00 Khachaturian’s most famous work, and one of the greatest ballets in the Bolshoi repertoire since the 1960s. A production with spectacular choreography and scenery, Yuri Grigorovich’s version remains the most critically acclaimed NT Live: Hamlet 22 October, 7.00 Rory Kinnear plays Hamlet. He is joined by Claire Higgins (Gertrude), Patrick Malahide (Claudius), David Calder (Polonius), James Laurenson (Ghost/Player) and Ruth Negga (Ophelia). NT Live: Frankenstein 31 October, 7.00 Jonny Lee Miller as the monster, Benedict Cumberbatch as Dr Frankenstein NT Live: Frankenstein 12 November, 7.00 Benedict Cumberbatch as the monster, Jonny Lee Miller as Dr Frankenstein Bolshoi Ballet Live: Le Corsaire 17 November, 3.00 A sumptuous ballet inspired by Lord Byron’s poem 01305 262488. www.plazadorchester.com. Every day; 10.00-5.00. £7.99; child £5.99; child under 5 yrs free; seniors and students £6.99. A spectacular re-creation of Tutankhamun's tomb and treasures. 01305 269571. www.tutankhamun-exhibition.co.uk. Souvenir guidebooks from â&#x20AC;˘ Dorset County Museum â&#x20AC;˘ Tourist Information Centre â&#x20AC;˘ County Hallâ&#x20AC;&#x2122;s reception desk. CAME DOWN GOLF CLUB Britainâ&#x20AC;&#x2122;s hidden gem â&#x20AC;&#x153;Birthplace of the Ryder Cupâ&#x20AC;? FULL 7-DAY MEMBERSHIP TO APRIL 2014 JUST ÂŁ465 NO JOINING FEE Why not experience club membership on this truly classic golf course? A great welcome awaits you. lindenhomes.co.uk/lorton YOUR HOME MAY BE REPOSSESSED IF YOU DO NOT KEEP UP REPAYMENTS ON YOUR MORTGAGE OR OTHER DEBT SECURED ON IT. Credit is secured against your home. *Subject to status, Help to Buy Terms & Conditions and available on selected properties in England only. Eligible applicants will be offered an equity loan up to a maximum of 20% of the purchase price (based on the open market value). Applicants are required to fund at least 80% of the purchase price by means of a conventional mortgage, savings/deposit where required. The equity loan is provided by the HCA and held as a second charge. This offer is not available in conjunction with any other promotion. Full details will be provided on request. †On selected homes only. Subject to status, terms and conditions apply. Not available in conjunction with any other offer. Details and prices correct at time of going to press. Computer generated image shows homes at Lorton Gardens. Photographs show a typical Linden Homes interior and the local area. One example they cite is in the village of Broadmayne, is finished to a high standard and has driveway parking for four cars. 'Demand,' they add, 'for all types of homes in this area is always high, which is quite understandable when you consider what it has to offer, and enquiries far outweigh the properties available.' Whatever the broader outlook for the general economy brings, it seems clear that the property market, if not wide-awake, is certainly stirring from its four-year-long slumber. There are a number of new developments going on in and around Dorchester, like this one in Lorton Gardens between Dorchester and Weymouth, for which the 'Help to Buy' scheme can let buyers – even those without a 25% deposit – to get sufficient finance to buy their new home. We have been established for 26 years. We have a great many years of real experience in this ﬁeld and have completed over 3000 Installations. Kitchens, bathrooms and ﬁtted furniture made to measure. All installation work carried out with our own staff. Our professional and friendly experts are highly experienced and use the latest dental implant technology. Our first-class team will make the process as simple and comfortable as possible. All you need to do is give us a call for more information or discuss with your Dentist who can refer you to us for a comprehensive consultation. We will work with them to achieve a smile you can be proud of. Where will your Defender take you? Widen your horizons with a superb new or Approved Used Defender from Yeovil Land Rover. The leisure and pleasure possibilities are virtually limitless when you drive this all-terrain, all-season performer. The powerful Defender is a super-versatile and hardworking 4x4, renowned worldwide for its legendary capability. Thirteen body styles to choose from and up to 7 seats in a comfortable, robust and practical interior. With the new 2.2 diesel unit, you’ll have serious pulling power – a massive 3,500kg towing capacity for trailers, boats, caravans and whatever else you desire. Ready? The lifestyle starts right here at Yeovil. Ring 01935 426600 today and book your test-drive. No obligation – just the opportunity to discover what you could be missing. See you in the showroom soon and out enjoying your Defender not long after! 01935 426600 yeovil.landrover.co.uk Official Fuel Consumption Figures for the Defender in mpg (l/100km): Urban 24.6 (11.5) Extra Urban 31.4 (9.0) Combined 28.3 (10.0) CO2 Emissions 266 g/km. The figures provided are as a result of official manufacturer’s tests in accordance with EU legislation. A vehicle’s actual fuel consumption may differ from that achieved in such tests and these figures are for comparative purposes only. Image for illustration purposes only. E&OE.